It’s never too late to have straight teeth. 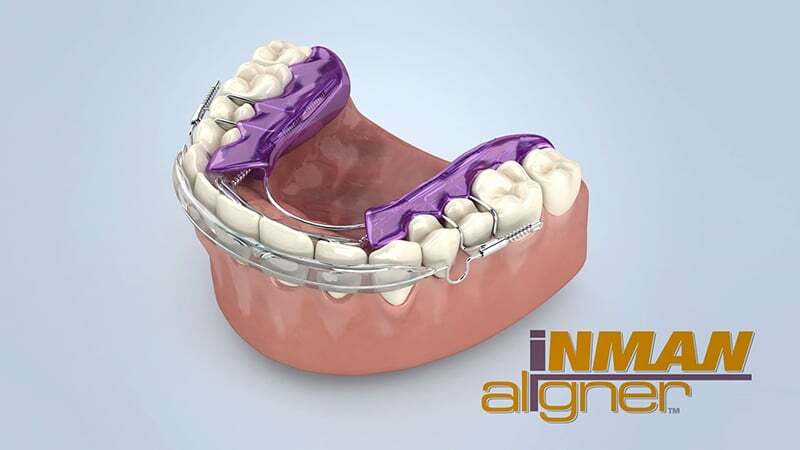 The Inman Aligner is a removable brace used to straighten teeth in a discreet manner. The results can be astonishingly quick! A straighter smile no longer means chunky or unsightly braces. 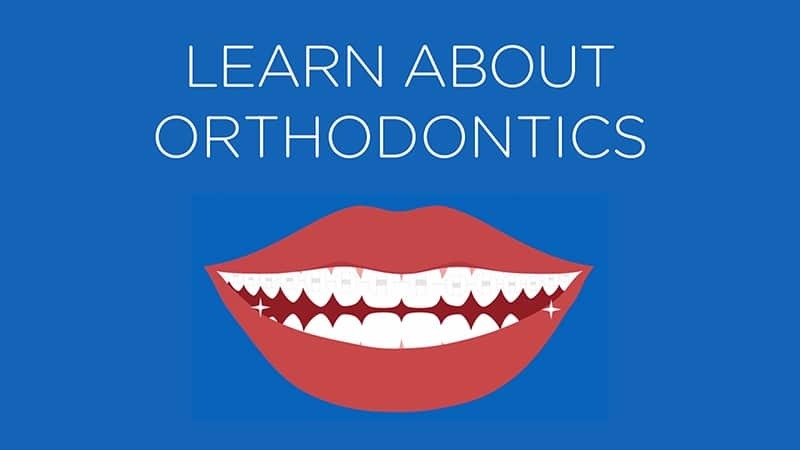 The field of orthodontics has developed in recent years to include almost invisible solutions for unaligned teeth. The Inman Aligner is a revolutionary concept in Adult Orthodontics. 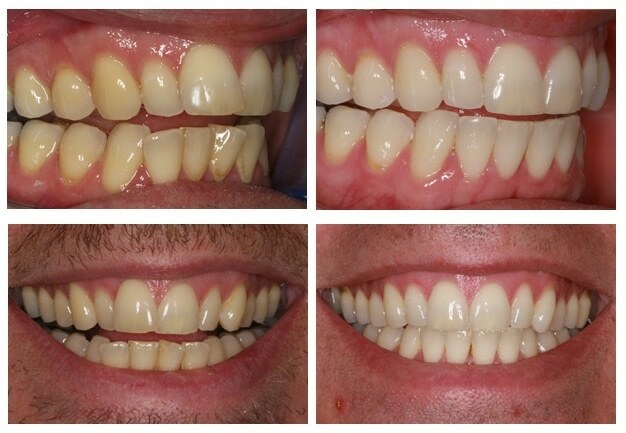 This procedure allows our patients with protruding or crowded teeth to be transformed in a matter of weeks. Inman Aligners are discrete plastic retainers with two spring loaded aligning bars that fit easily over the front four teeth. Unlike other braces, the Aligner puts constant pressure on the teeth to speed up the transformation and achieve an impressive smile you’ll be proud to show off. Apart from its aesthetic benefits, the Inman Aligner is easy to use and can be inserted and removed at any time, allowing eating and brushing to continue as normal. Once your teeth have moved to the desired position, we’ll give you a very discreet retainer to use which will hold them securely in place, so your smile stays just how you want it. What is a Inman Aligner brace? 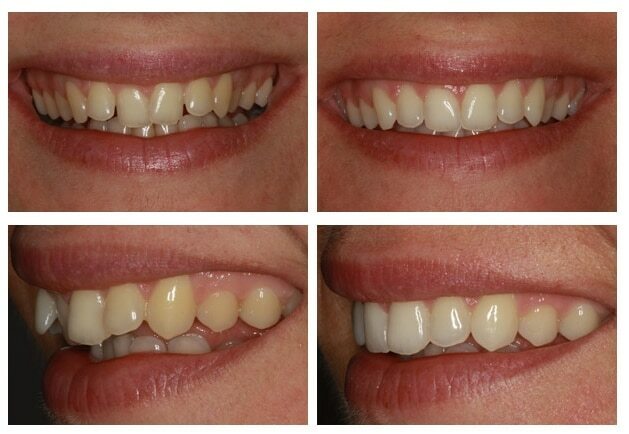 The Inman Aligner is a removable brace used to straighten teeth in a discreet manner. 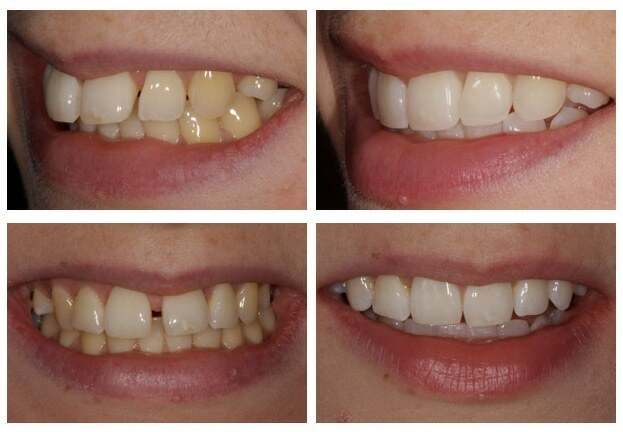 The results can be astonishingly quick; previously crooked front teeth can be straight in as little as 6-16 weeks. Like the Clear Aligner, it is removable, so the speed and efficiency depends on how many hours a day the patient wears it. Do I wear the aligner everyday? We recommend that patients wear the Inman Aligner for up to 20 hours per day, a long day, but still far, far superior to the old-fashioned fixed brace system. As with any orthodontic appliance, the Inman Aligner can feel a little uncomfortable at first. 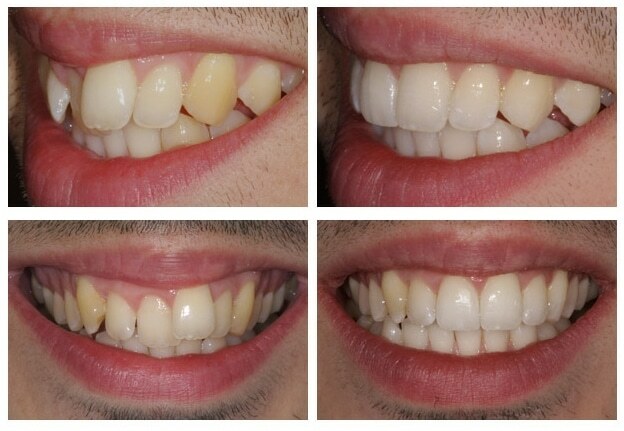 After a week, most of our patients are used to their Aligner and have no problems wearing it. Yes. All orthodontic treatment needs to be retained or will run the risk of relapse and Inman Aligner treatment is no different in this respect.